MAKE UP FOREVER releases a new Pro Sculpting Collection that consists of a face palette, brow pencils, and lips. This is contouring at a whole new level. Using different values of intensity and shading, these palettes offer a new method in defining and enhancing your face. At a recent press release event for MAKE UP FOREVER, bloggers and media had a chance to go back to art school to learn the basic principles of sculpting. By learning the basics, it gave us a better understanding of how these products are meant to work. The contours of a face, the way light hits the face, and how to enhance certain features. The Pro Sculpting Palette: available in 4 shades (light, medium, tan and dark), a creamy and buildable formula for the whole face. The Pro Sculpting Brow: a 3-in-1 precision tool (pencil, brush, and sponge tip), available in 5 shades (blonde, dark blonde, brown, dark brown, brown black). The Pro Sculpting Lip: define and add volume with this double ended lip tool. One side is a lipstick while the other a pearly cream to powder highlighter. Available in four shades. 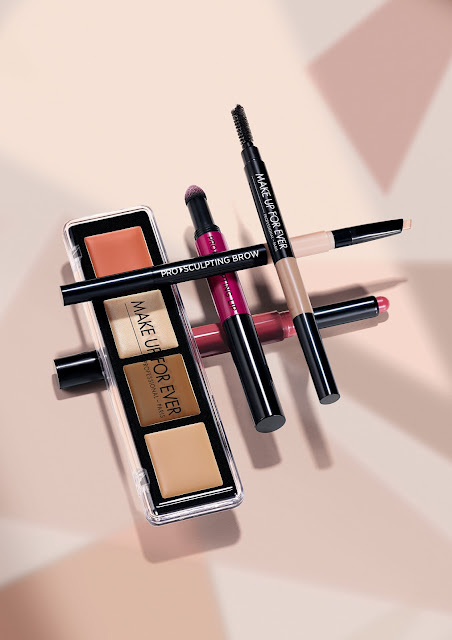 The MAKE UP FOREVER Pro Sculpting Collection is available March 2016.